HJ Express: Happy Birthday To ME!!! I got an early present for myself! 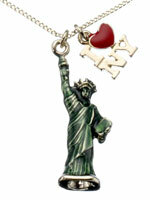 :) I saw this necklace on accessorize.com and I have been wishing that it would be available here in the Philippines. Thank God it is now and I got one for myself! :) Yey!